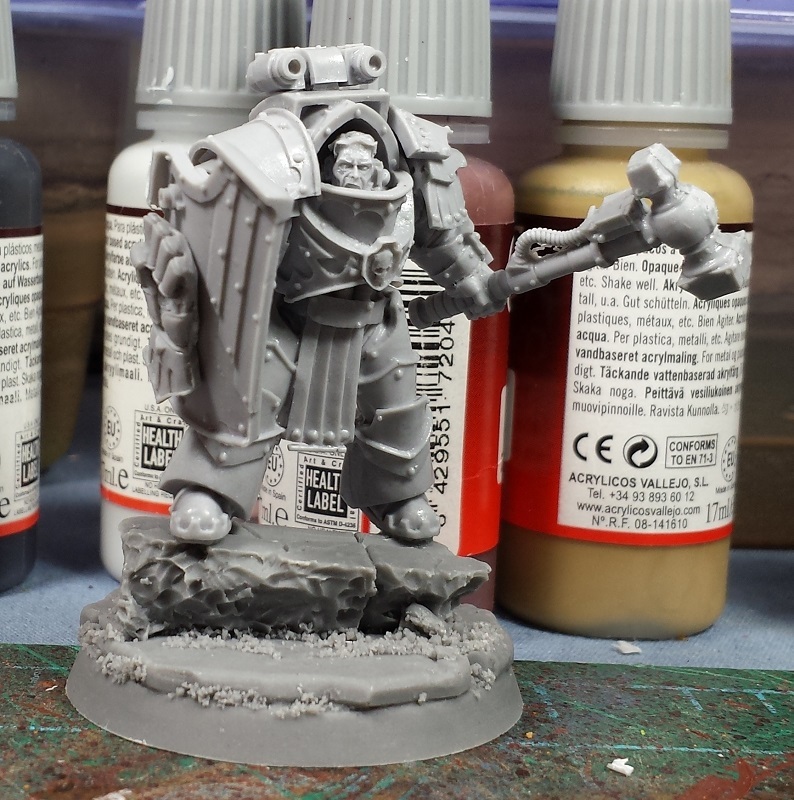 After the experiment with the cheap-as-chips terminators I'd done for the Thousand Sons, I knew these guys were going to get power fists and chainfists. I decided to go plasma-themed with them as well, with a pair of plasma blastguns and four combi-plasmas. It also has the benefit of allowing the unit to have more spot colors with the blue plasma coil glow. 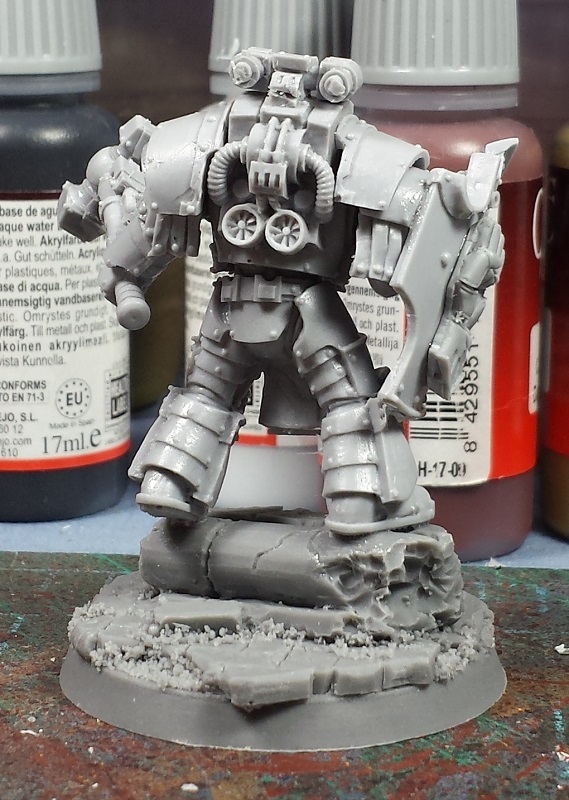 I had a few parts left over from the Iron Hands build early last year, and put together a second sergeant armed with a thunder hammer and storm shield which allows me to run them as two 5-man squads, but I have to say I like the look of it enough to think I may have to do a full 5-man squad of 'em! It's warmed up enough that I could primer them earlier this morning, still waiting for it to warm up a bit more before I risk the first sealant coat on the assault squad - looking forward to getting the transfers and weathering on them this weekend and call that unit complete!